Above- Navaho missile at booster separation. From Astronautix- “The Navaho intercontinental cruise missile project was begun just after World War II, at a time when the US Army Air Force considered ballistic missiles to be technically impractical. 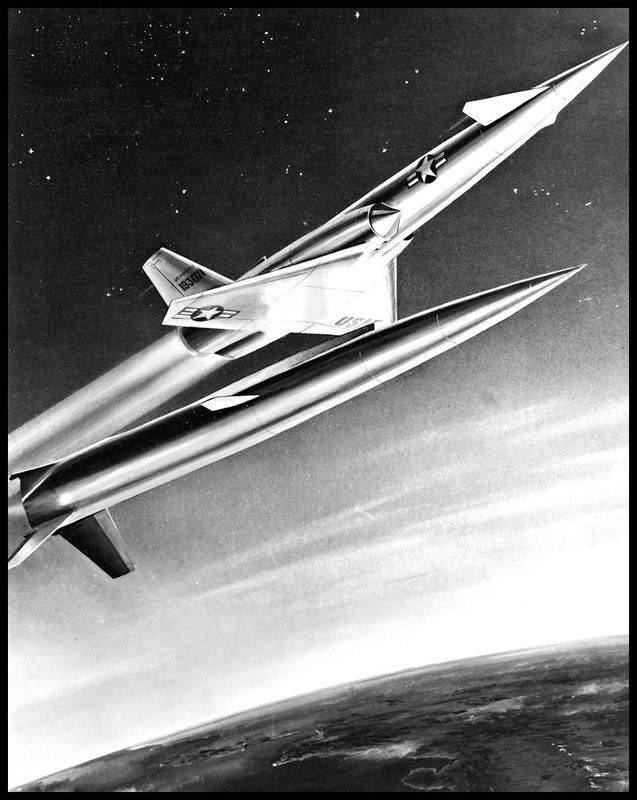 The Navaho required a large liquid propellant rocket engine to get its Mach 3 ramjet up to ignition speed. This engine, derived with German assistance from that of the V-2, provided the basis for the rockets that would later take Americans into space. It turned out that mastering the guidance and materials technology needed for a Mach 3 cruise air vehicle was actually more difficult than for a Mach 22 ballistic missile. In the end, the Redstone, Thor, Jupiter, and Atlas rockets were flying before their equivalent-range Navaho counterparts. However the Navaho program provided the engine technology that allowed the US to develop these ballistic missiles rapidly and catch up with the Russians. Navaho also developed chem-milling fuel tank fabrication techniques, inertial and stellar navigation, and a host of other technologies used in later space vehicles. 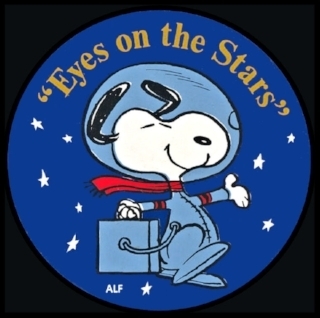 It put North American Aviation, and its Rocketdyne Division, in a leading position that allowed them to capture the prime contracts for the X-15, Apollo, and Space Shuttle projects, thereby dominating American manned spaceflight for the next seventy years”. Above- X-10 Navaho, courtesy Boeing Management Association. 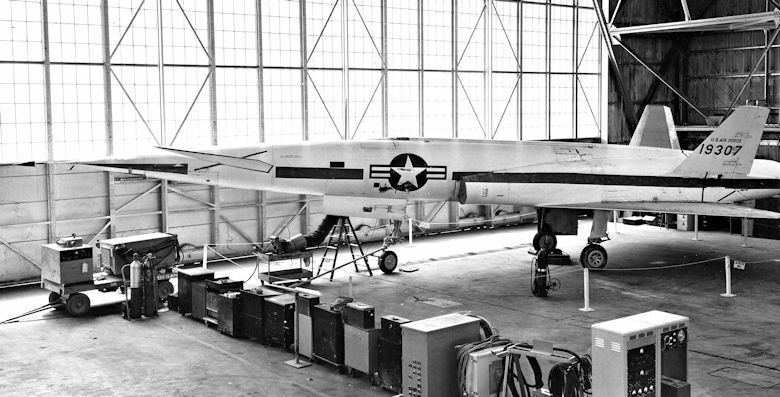 “The X-10 was in advance of anything else conceived in 1947, and anything else even flying in the 1950's. 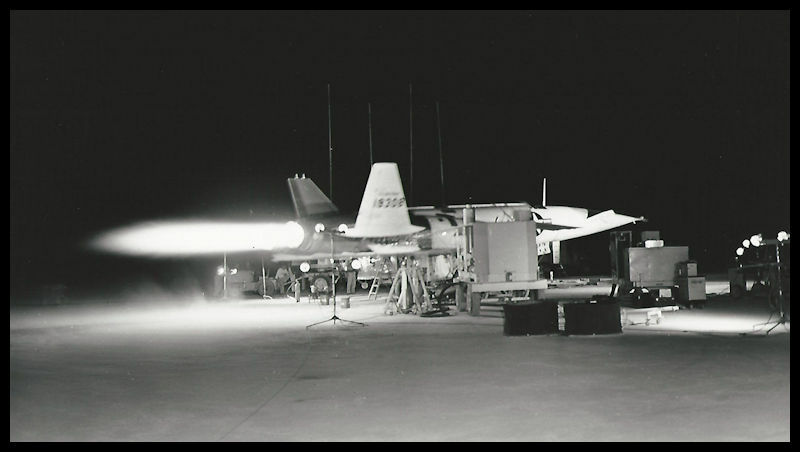 There was nothing else powered by turbojet engines that could beat it in thrust/weight, aerodynamics, speed, or altitude during its flight test period. However, since it was unmanned, and highly classified, it obtained no official records. “Over one hundred years ago, on August 16, 1912, Glenn L. Martin established the Glenn L. Martin Company in Los Angeles, California. He started the company after building his first plane in a rented church, where he took a leap of faith on his risky but innovative new aircraft design at the urging of none other than Orville Wright. Thank You Financial Partners for your continued support!